We are a leading Manufacturer of wave washer for bearing use and wave washer from Ahmedabad, India. 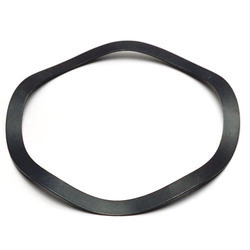 Our organization is known for manufacturing a wide range of Wave Washer for Bearing Use. These Wave Washers are manufactured with the use of optimum grade material, which provides it with unmatched durability & high tensile strength. Furthermore, we provide these Wave Washers in different sizes and dimensions to meet the exact application needs of our clients. 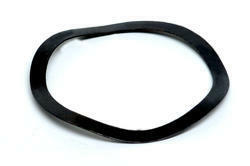 Our range of Wave Washer is made from the premium quality material that is designed to offer a compensating spring force and maintain a load or take up shock. Wave Washers are the disc of the irregular shape formed in such a way that when loaded it deflects, acts like a spring, and provides a preload between two surfaces.